If you're a sports fan, you've had a fun few weeks, huh? 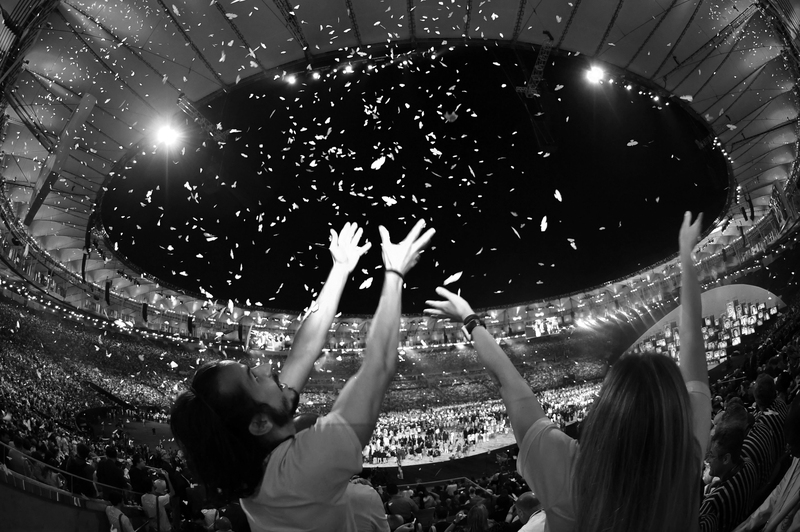 Still nothing lasts forever: The closing ceremony of the 2016 Summer Olympics will be taking place on Sunday, Aug. 21, meaning you'll have to wait until the 2020 Games in Tokyo to see the summer events again. This makes it a pretty good moment to look back on everything that just happened in Rio, and all that led up to it ― to consider the things that didn't go wrong in Rio, in spite of everybody's fears, as well as, well, the things that did. As countless media outlets reported in the run-up to the games, there were plenty of concerns, fears, and dire predictions made about Rio's level of preparedness to handle such a massive event. That's to say nothing of the scandal and controversy within the Brazilian government, and the roiling discord it's caused. Oh, and Ryan Lochte. In short, some things did go better throughout the Games than countless people predicted, while some things went every bit as poorly as the warnings would lead you to believe. In some cases, they took a downright devastating toll. Here are some of the big examples on both sides, whether to do with Rio's preparations, the running of the Games, and the athletes participating in them, too. This was one of the biggest political and practical concerns heading into the Rio Games, underscored by angry protests by police in the preceding weeks. Yet despite concerns that the police might shirk their security duties over lack of pay, the Rio police have been a stable presence thus far. Although the political crisis in Rio is ongoing and the impact of the Rio Games isn't over yet, the fledgling presidency of Michel Temer did survive the rocky arrival of the Summer Olympics. That shouldn't be confused for ongoing stability, obviously, but the optics of a government crumbling mid-Olympics would've been awful. The state of the new Line 4 subway was a hot topic of discussion heading into the start of the Games, as it was opened just days before the opening ceremony, while construction was still ongoing. It's been up and running since the Games began, however. Whatever your opinion on the doping scandals that have swirled around Russia this year, a blanket ban on their athletes would've been a hugely punitive black eye for the tournament. While it's true that some potential Olympians bowed out ostensibly over Zika concerns (in the world of golf, in particular), for the vast majority of would-be competitors, missing a once-every-four-years chance at Olympic gold was too steep a price to pay. This may sound like the sort of thing you could take for granted, but with multiple Olympic venues still in construction just weeks prior to the opening ceremony, it's notable: For all the tumult and trouble, there was a full Olympic schedule this year. If there's any lesson to be learned from Rio's opening ceremony, it's this: Don't be afraid to cut costs in your opening ceremony. The extra dollars might be nice, but they're not necessary to put together a performance with energy, national pride and flavor, and tight, impressive choreography. From the Final Five and Simone Biles to Katie Ledecky and Simone Manuel of Team USA swimming to the indescribable speed of superstar Jamaican sprinter Usain Bolt, these Olympics have been full of moments that true fans will never forget. And really, coming up short on those is one of the worst things that can befall an Olympics, and it's always a risk. I don't care who you are, or how seriously you take the sport of golf ― when some adorable members of the world's biggest rodent species decide to chill on the course, that's a good thing. Athletes competing in the waterways of Rio had to be warned about the dangerously tainted water ― thanks to high levels of raw sewage, some athletes fell ill, succumbing to conditions like vomiting and diarrhea. While it's definitely good that the police were still a presence throughout the Rio Games, it is definitely not good when anti-Olympic protesters were met with teargas and physical force. This isn't to say the protests or the protesters themselves did anything wrong, to be clear ― Brazil has a vibrant recent history of demonstrating against these sorts of opulent sports tournaments, thanks to its hosting the 2014 World Cup. But the political, economic, and human rights conditions they're protesting are dire, and they've put the presence of the Olympics in Rio in a stark and uncomfortable light. However you feel about the Olympics, whether you're a super-fan or merely a casual follower, this is something everyone ought to be able to agree on: People shouldn't have their homes destroyed by the government to make way for sporting events. According to a report by Rio's Regional Labor and Employment Office released in April, 11 people died in construction-related accidents in the run-up to the 2016 Summer Olympics, including three building the aforementioned metro line. In all, that's precisely 11 more people than died in the preparations for the 2012 Games in London. Looking at you, Ryan Lochte. Memo to all you non-Olympians out there ― if you're ever accused of vandalizing a gas station bathroom at 32, don't expect to get the "just a kid" treatment. It shouldn't be overlooked that Lochte's seemingly debunked story about being robbed at gunpoint in Rio played into countless stereotypes about the prevalence of violence and crime within the city. Stereotypes that, while grounded in some reality for the people who actually live there, were leveraged by a white, privileged American star athlete, ostensibly to wriggle his way out of something he'd done wrong. While the winter season has helped suppress the presence of Zika-bearing mosquitoes in Brazil, the CDC is still highly concerned about the virus spreading into different countries, with the surge of international travel for the Olympics amplifying potential exposures. First, people said that it was algae, then that it was due to a lack of chemicals to properly treat the water, and then that someone poured hydrogen peroxide into the water. Whatever actually did happen, however, the green pool sparked health concerns for the people swimming and diving in it, and was at one point shut down because it reportedly smelled like farts.